I’ve got to be honest, contouring kind of intimidates me. I’ve never known quite what to do with it, what brush(es) to use, or how much to apply. And probably the hardest part is getting the right shade for my skin tone. Luckily for me, highlight/contouring face charts and tutorials seem to be everywhere these days and many companies make products now that make the process seem much easier. 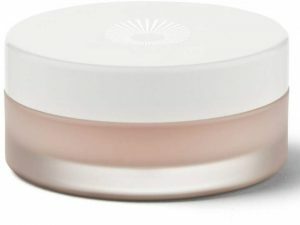 A highlight/contour duo is hardly a new idea, but I have only seen a few good options in the clean beauty industry so far. 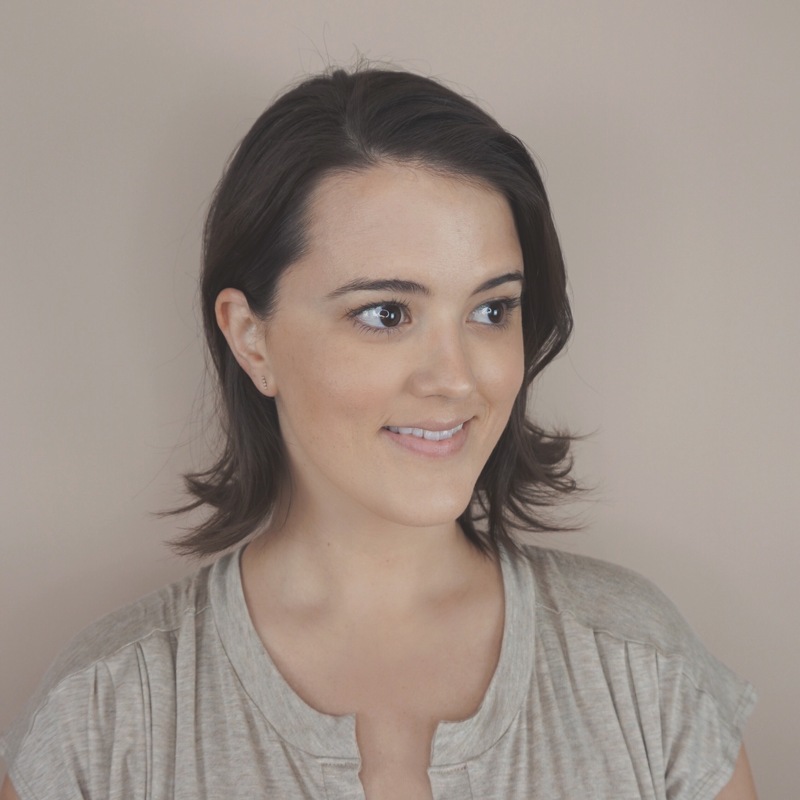 The first one I tried is the Lily Lolo Sculpt and Glow Contour Duo. 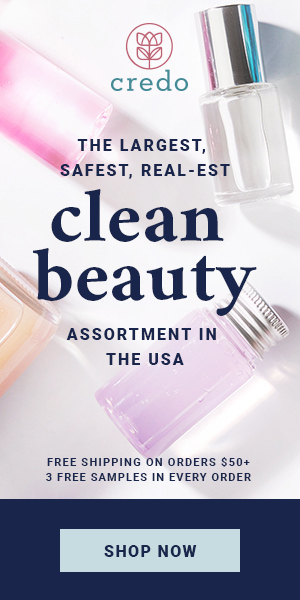 Lily Lolo is a London-based mineral cosmetics brand that makes beautiful and high performing products that are free from parabens, harsh chemicals, synthetic dyes, fillers, and contain no nano-particles. 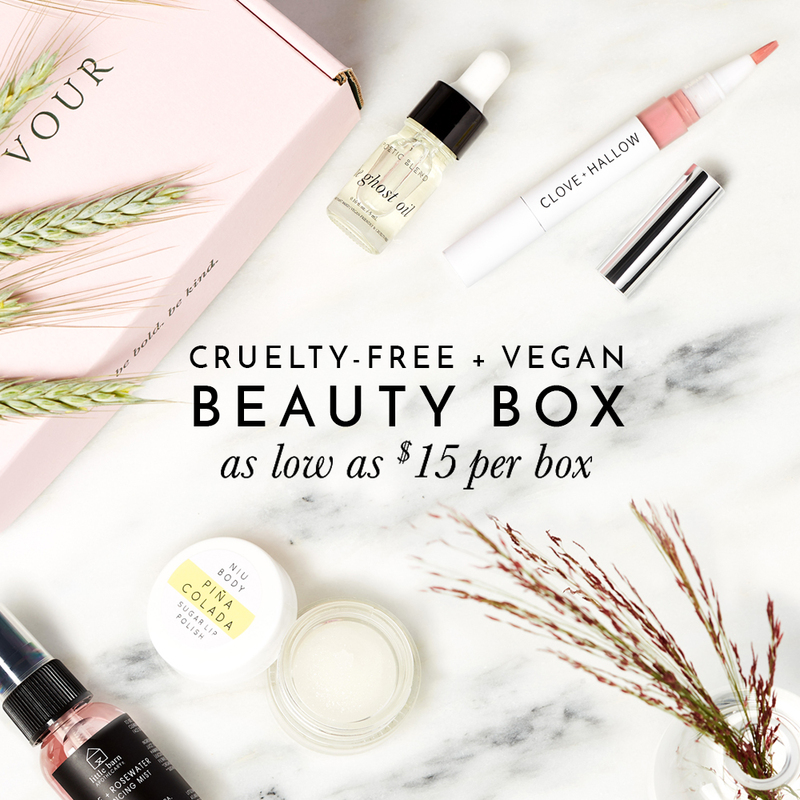 They are also cruelty-free and 90% vegan. I have been very impressed by this brand so far! Product Description: Meet the totally foolproof trick to glowing skin, enviable contours and sky-high cheekbones. 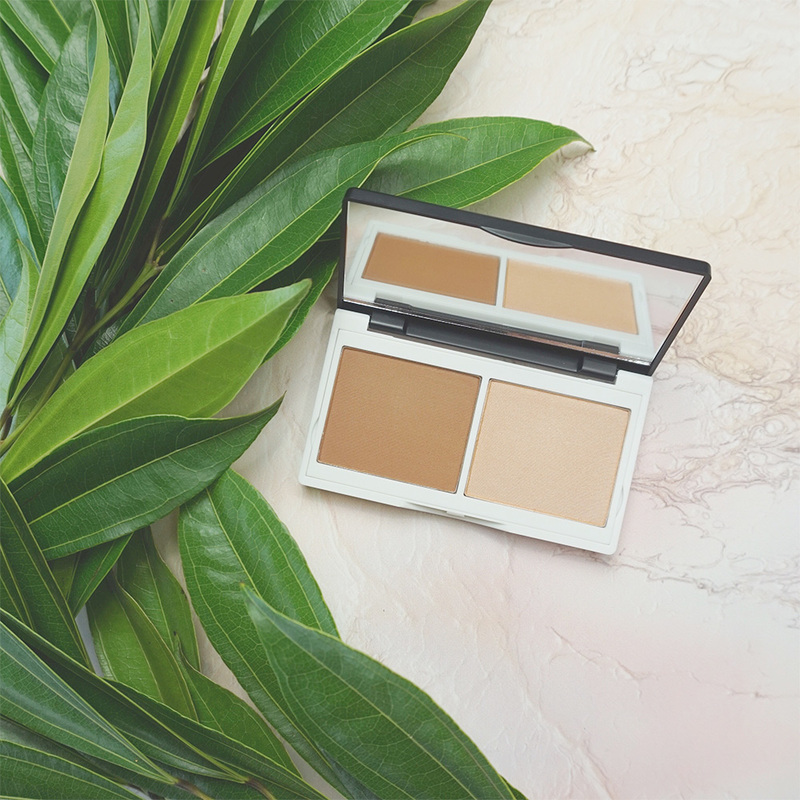 Sculpt & Glow Contour Duo gives nature a helping hand, creating a flawless, beautifully defined and contoured canvas and casting your features in their best light. The skin-flattering bronzer makes for effortless contouring and comes in our easy-to-use, natural pressed formula. The light-reflecting highlighter can be used sparingly for a subtle, fresh daytime glow or intensified for a luminous, killer evening look. Long-lasting, skin-loving wear thanks to anti-ageing Argan oil and marine extract. Plus it’s fragrance and talc free, gluten-free and vegan. Overall, I would personally rate this highlight/contour duo a 6/10. I really like the ingredients and brand ethos. I love the packaging and size. The powders are not chalky or drying at all and feel very lightweight on the skin. The contour shade is a little difficult to blend or buff out if you accidentally use too much product, so I suggest starting with a very small amount on your brush, tapping off any excess, and only adding more in small amounts if needed. If this was labeled as a bronzer rather than a contouring duo, I would probably give it an 8/10. My main problem with this product, though, is that the darker shade is too rich and warm to be a good true contour shade on most fair and light skin tones. As I mentioned above, I’m hardly a contouring expert, but I have found that the best shades to really try to define your face with mimic actual shadows that would be cast by your features. It is also important that a true contour be completely matte. Taupe shades work best on my skin tone to actually add definition to my cheekbones, jawline and nose. The contour shade in this duo is just too bronze for me. It doesn’t have any noticeable shimmer to it, but I don’t think it reads totally matte on my skin either. I do think that this duo gives a nice overall glow to my face. (I apparently had some trouble blending by my hairline and only caught it after looking at the pics, haha). If you look at the color of the shadow in the hollows of my collarbone, though, you will see that it is a noticeably different color than what is on/under my cheeks. When using this contour to try to define my features, I found that it was just too warm and ended up leaving a bit of a bronze/orange tint to my face that wasn’t the look I wanted. 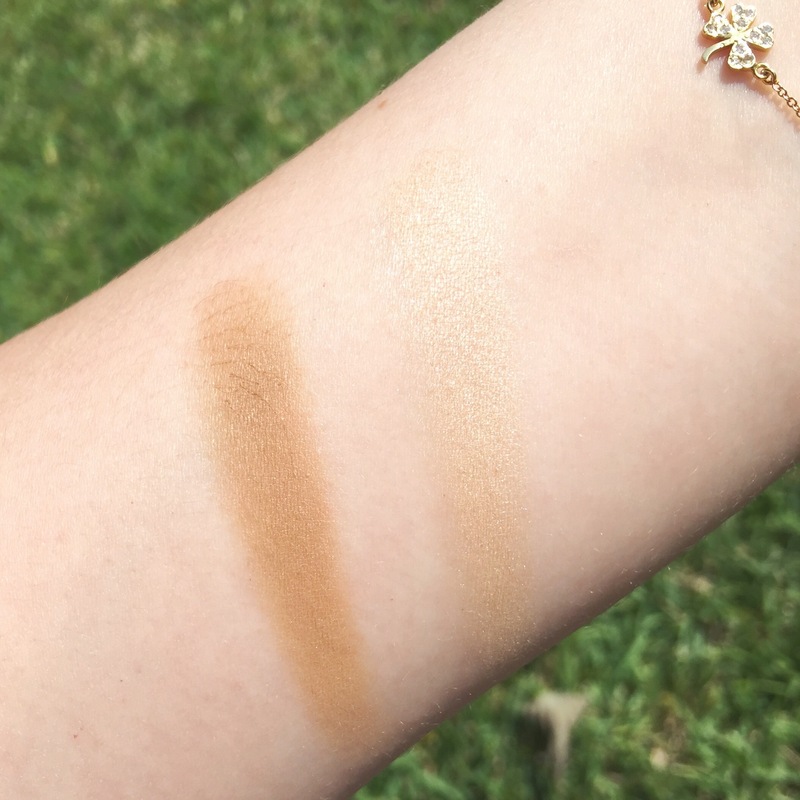 I prefer to use a contour shade that is more of a taupe/almost slightly grey color that I honestly haven’t been able to find in a clean/nontoxic formula yet. I think that this will be a nice bronzer for my skin especially in the summer when I have a little more of a tan. And though I usually prefer more pearlized and silver undertones for highlighters, this golden shimmer highlight is really pretty. I think that both shades would look beautiful as eyeshadows on every skin tone. For medium and tan skin tones, this might be a good contouring option. For fair and light skin tones like mine, though, it is just a nice warm bronzer and a pretty golden shimmer highlight. 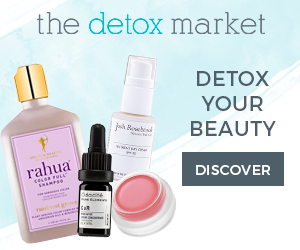 Lily Lolo makes some of my favorite clean and nontoxic makeup so far (their eye palettes are to die for! ), but this duo isn’t at the top of that list. I do think that it is a lovely and safe formula with great texture and feels good on the skin. If you’re looking for a good nontoxic bronzer, I would suggest trying this product! If you have fair or light skin though and want a true contour shade, this probably isn’t what you are looking for. What are some of your favorite ways to define your features? Do you have any highlight/contouring tips or tricks? Let me know in the comments below!